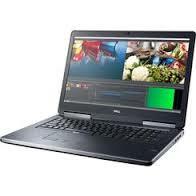 The Dell Precision 15 3510 Series is a corporate workhorse of a laptop that offers full workstation capacity and reliability for an affordable price. It is powerful, easy to transport, thin and light with a high capacity for professional graphics and considerable memory. This flexible and reliable workstation is designed to manage large projects and offers unique ease of use when working on complex processes on the go. This includes heavy-duty processing and storage, as well as the ability to render and model professional-grade graphics. This is because laptops in this range run off powerful 6th Gen Intel Core i5 and i7 Quad Core processors. Overall, these models benefit from Dells considerable experience in developing and producing high-quality products. This is evidenced in the superior touches these systems have as standard, such as their new and improved touchpad technology for increased accuracy and responsiveness. At the same time, the Dell Precision 15 3510 Series units come in at just over 2kg so you don’t need to compromise on ease of transportation over performance. graphics card and up to one terabyte of data storage. It also ensures increased reliability. As Dell registered partners, we are well placed to supply high-quality Dell products like the Dell Precision 15 3510 Series. This, in combination with our significant experience in the market, means we can be an inexpensive and knowledgeable point of call when stocking for your business computer needs. We offer a range of new, manufacturer refurbished, ex demo and open box laptops, computers, servers and printers to suit any sector and budget – all backed by excellent customer service. As we are always searching for the best deals and prices, you can enquire directly with us for any product you may be looking for. Similarly, you can give us a call on 03333 222 200 to check our availability. We offer fast delivery across the UK and aim to give you the best products, at the best prices, as soon as possible.